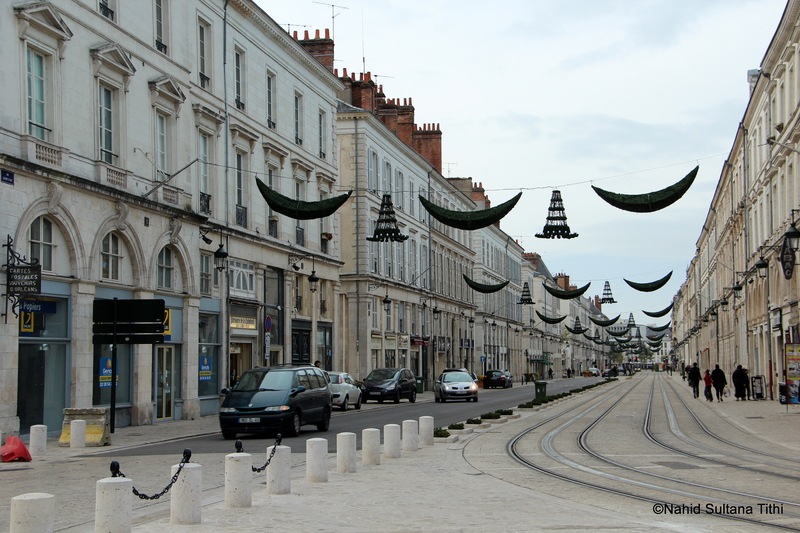 ORLEANS, FRANCE: So, THIS is the city where New Orleans, Louisiana gets its name from…no kidding. This is the capital and center of Loire region. You can say it’s about half-way between Paris and the chateaus of Chambord or Cheverny in Loire Valley. The city is very proud of their heroine Joan of Arc and you can see her marks in almost all of the main spots. 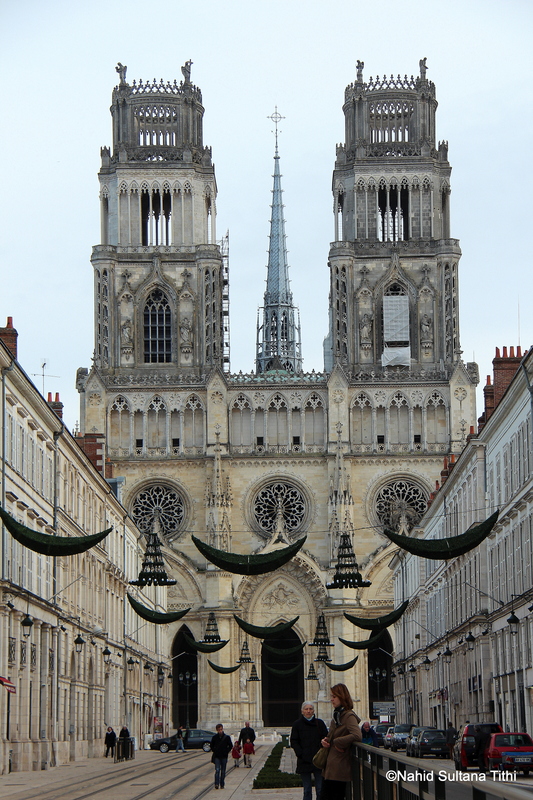 TIME of TRAVELLING: It was a late-November Sunday afternoon (2012) when we visited Orleans. We were coming back from Loire Valley, France. It’s about 45 minutes of drive from there and we decided to take an early break before another 5-hours of drive home. It was a bit cold and everything was, well dead…lolz. PLACES WE’VE VISITED IN ORLEANS: We spent exactly an hour in Orleans. All these places we saw were within walking distance…they were very close by. There were some Christmas markets near Cathedral St. Croix which were closed because, most likely, it was a Sunday and still a month away from Christmas. I am sure this would have been a fun spot to hang out on a regular day. 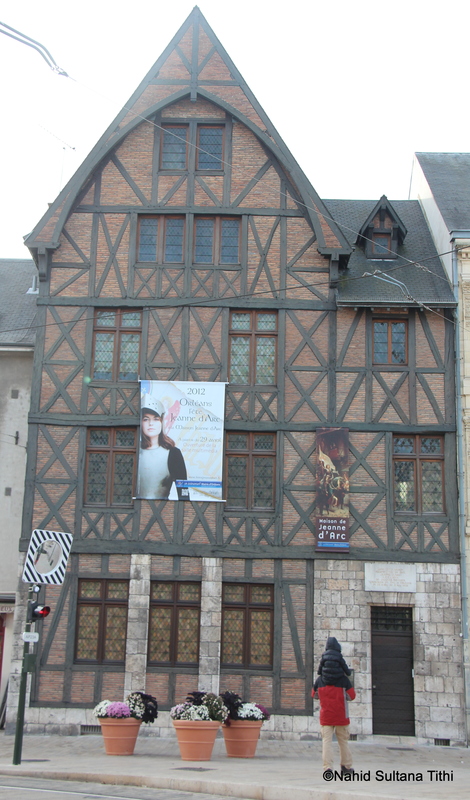 1) HOUSE of JOAN of ARC (JEANNE d’ARC): The now museum, which was also her house, of brave Saint Joan of Arc is located in Orleans. This was her home town where she lived her short life. She is famous for fighting in the Hundred Year’s war and winning a few of those in the 15th century. She was executed for heresy and was found innocent many years after her death. The museum was closed during our visit. But at least we got to see her house with dark wooden exterior from outside. 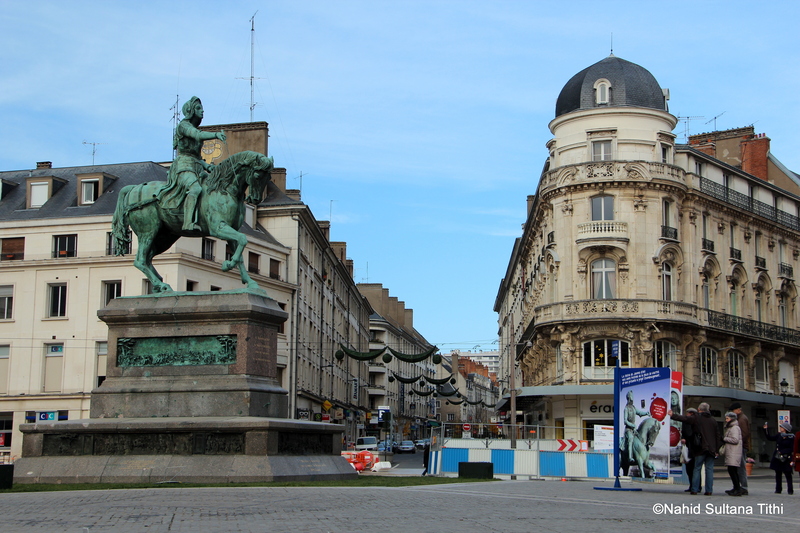 2) PLACE du MARTROI: This square is adorned with the statue of a young Joan of Arc in the center. Many old and new buildings surround the plaza. It was absolutely dead when we went, but the small streets had some cafes and stores open. I can imagine this place being a hot meeting point for the locals on Saturdays or when the weather is not that dull. 3) CATHEDRAL ST. CROIX: Also known as Orleans Cathedral, this Gothic cathedral probably is one of the main attractions of Orleans and a must see. The construction of this building started in 1278 AD. It’s located in Place Ste. Croix and is very close to Joan of Arc Museum. This is beautiful inside and out. The main altar is simple but the nave is very nice. The great feature of St. Croix is that the stories of French heroine Joan of Arc are depicted on stained-glass windows.